Femulating Stana observes 7 years of blogging Femulate. 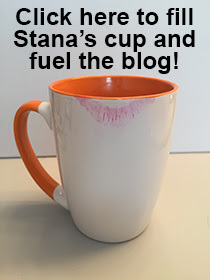 Happy Anniversary, Stana! Thank you for your terrific blog. Congrats. I love it that you're here! Congraulation and hoping for seven more wonderful years. HAPPY ANNIVERSARY! I nominate Stana as "MISS FEMULATE" for 2007, 2008, 2009, 2010, 2011, 2012, and 2013. If dear Stana accepts, we'll want to see a photo of her in a gorgeous pageant gown (complete with a "Miss Femulate" over-the-shoulder satin ribbon/banner)!